Hope everyone is enjoying their weekend so far! It's officially freezing here in Michigan! 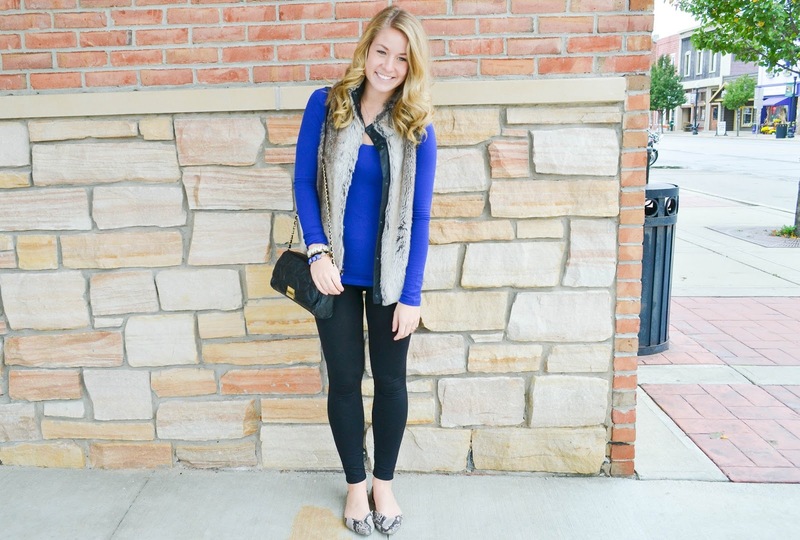 Today I'm keeping comfortable and warm in my favorite fur vest from last winter that is from Forever 21. I'm not sure about you, but when I'm cold I just want to be cozy and comfy, so this outfit is just that plus a stylish edge. 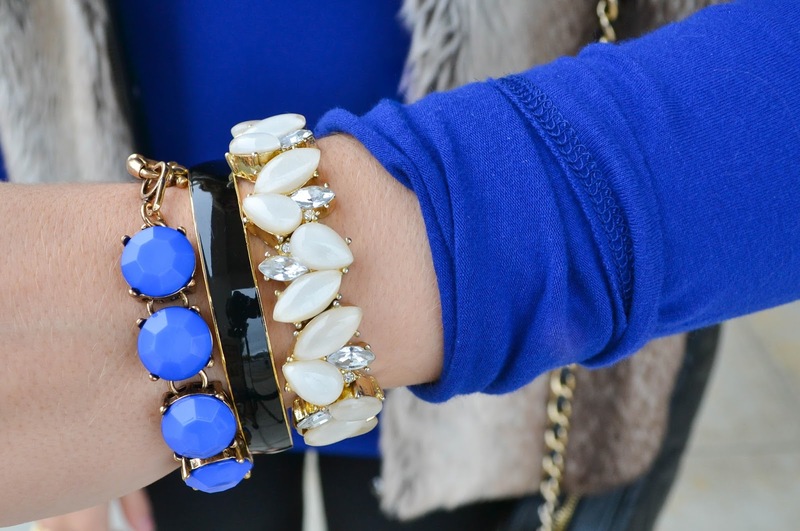 Being comfortable doesn't have to mean a sweatshirt and sweat pants, just pick your favorite pair of leggings, long sleeve top, vest, and cute jewelry! 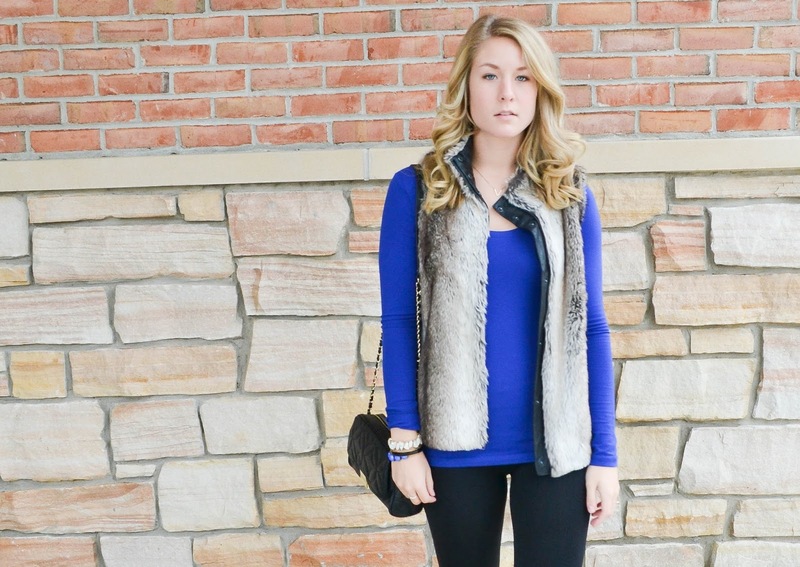 I'm dying for a fur vest this fall!